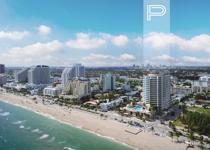 Set to raise expectations for luxury residences over the world, Paramount Fort Lauderdale Beach is a stunning example of what generous lavishness and exceptional design can accomplish together. 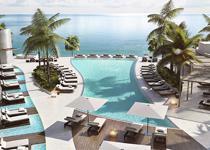 At this exclusive condominium, the tropical landscaping completes a private pool deck where warm sea breezes grace restful poolside afternoons; while the ocean-side signature restaurant welcomes discerning Paramount homeowners with a range of high-style dining options. 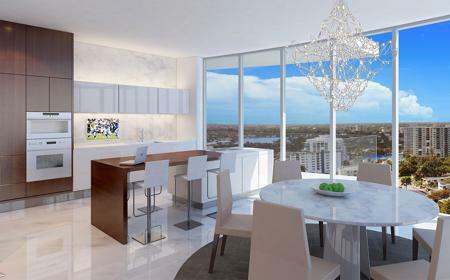 In an age of the superfluous and superficial, the un-rooted and the un-serious, each of the 95 residences at Paramount Fort Lauderdale Beach defy conventional thinking with a contemporary luxury that tells the ornate, the garish, the gilded and the overindulgent, your time is up. 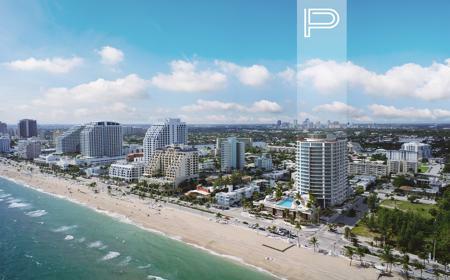 Paramount Fort Lauderdale counts with a wide array of high-end services and features including porte cochere, 24-hour valet, club and social room, social lounge, fitness center with locker room, massage and steam room and a kids room and playground, among others. 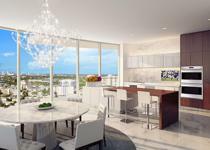 Spacious outdoor living rooms directly accessible from living areas through floor-to-ceiling sliding glass doors. Designer kitchens featuring custom Italian cabinetry, quartz countertops, Dornbracht fixtures, as well as Wolf, Bosch and Subzero appliances Rain showers and spa tubs in all master bathrooms, custom Paramount Residences Mobile App, linking residents to exclusive Paramount Attaché concierge services and building amenities.